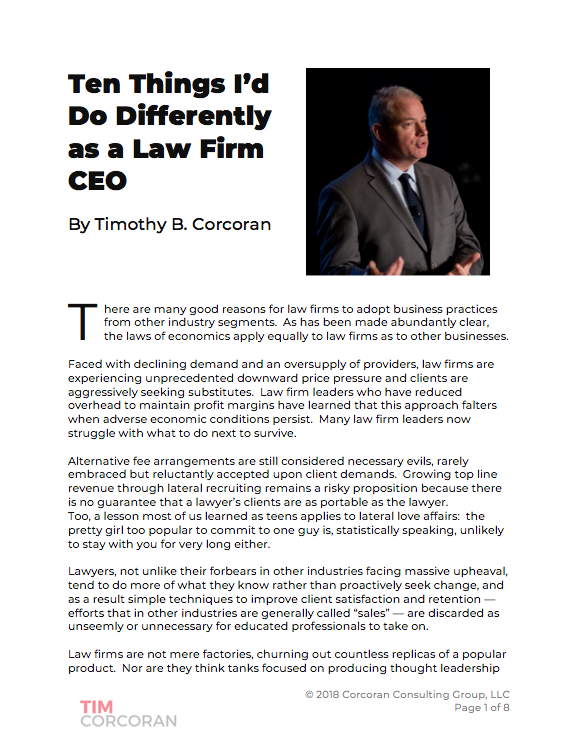 Today’s legal and business professionals are faced with new challenges and opportunities to help their firms and departments deliver greater value. There is increasing pressure to be more efficient, design and deliver work product based on quality metrics, and better connect costs to the value received. Legal Lean Sigma® and Project Management is a powerful combination that helps us not just do more with less, but, instead, do the right things and do them the right way, the first time, every time. These programmes are the first to be designed exclusively for the legal profession. You won't have to spend your time and energy bridging concepts from manufacturing because we use relevant case studies, examples, and success stories from law firms and legal departments all over the world. Then, throughout the course, you'll have opportunities to apply them to a specific process. This way, you learn about Six Sigma, Lean, and project management in contexts that are highly relevant and immediately useful to you. Learn and apply Six Sigma, Lean, project management and other methodologies in contexts that are immediately useful and relevant to the practice and business of law. FEE: $1,250 AUD per person plus GST (15% discount* for groups of 3 or more participants).